The University of British Columbia’s Okanagan campus is home to some of the brightest minds and most intriguing research in the nation, and this weekend the public is invited to stop by and see some of the things going on. 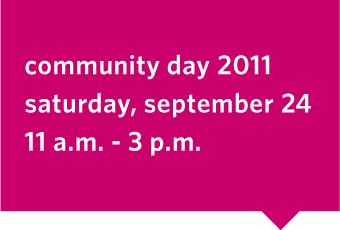 Community Day takes place from 11 a.m. to 3 p.m. Saturday, Sept. 24 at the campus 10 minutes north of Kelowna on Highway 97. The second-annual event gives the public a chance to engage with faculty, staff and students while discovering what makes UBC’s Okanagan campus an outstanding learning, teaching and research environment. “The University of British Columbia’s Okanagan campus is a vibrant and thriving community - academically, socially and athletically,” says Bonnie Bates Gibbs, director of University Relations. The University will be open to the public, and those attending can participate in a variety of events from lectures to hands-on activities. The campus has undergone amazing growth over the past few years and guided tours leave the centre courtyard every 15 minutes starting at 11:15 a.m. to show people everything that is new and improved. Tours of the two newest state-of-the-art buildings – the Engineering, Management and Education building and the Health Sciences Centre – will also be held throughout the day. Campus maps will be available to those wishing to strike out on their own for a self-guided tour. The courtyard will also be the place to be for free hot dogs (either beef or veggie), an apple and water as well as an afternoon snack. Other food services on campus will also be open.